Hey Everyone. After upgrading all of my cabling on my H/T system, I am now wondering what the best approach will be to hide them a little better. They aren't all optimal lengths, but they can accomodate my wife's ever changing decor. I could make some effort to secure most to the stand. They are all sitting as I left them, no effort made yet. Rather than a million product plugs and links, I would like to see some pics of your own cabling arrangements. Makes for a bit of a personal touch, and a fun way to check each other's styles out. Last edited by poppachubby; 10-20-2009 at 04:47 PM. Firstly,what did you think of the cable upgrades? Did you notice an improvement? Without a specific breakdown, all cables were upgraded. My H/T receiver is a Sony STR-DE575. It's an older machine with limited digital inputs. However it does a great job with what it's able to do. Certainly good enough for my wife, who is indifferent, and myself, just the odd movie, no TV. Overall, everything has improved, some more noticable than others. 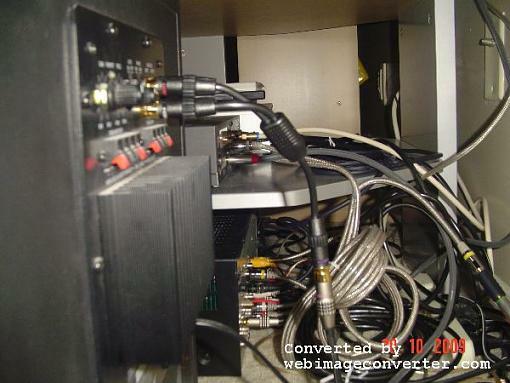 I hooked in the DVD with coax and S-Video. I had been using component. Of course, the difference is nothing short of mind boggling. The realism in the audio is exciting and making me rewatch all of my faves over again. Sword fights sound like they are in my living room, and I find myself rewinding just to hear again. For this I have purchased Rocketfish S-Video and Acoustic Research coax. The other really great improvement is my sub. I bought an Acoustic Research Pro Series II mono cable with a stereo Y adaptor. Man alive!! I was previously using a gold plated mono>stereo adaptor in the receiver's output, and using Ethereal RCA's to the sub. The sub is now alive like I have never heard it. I immediately had to turn down the gain and adjust the frequency if that tells you anything. Aside from the audible improvements, it's a nice point of pride to have all your stuff in "optimal" order. My H/T is far from great, but it kicks out enough quality to satisfy me. I think I will play around with some optical down the road, after my ears have settled with the current set-up. That book looks like a good read, glad your enjoying it. I got in to the blues after many years of listening to 60s and 70s rock. 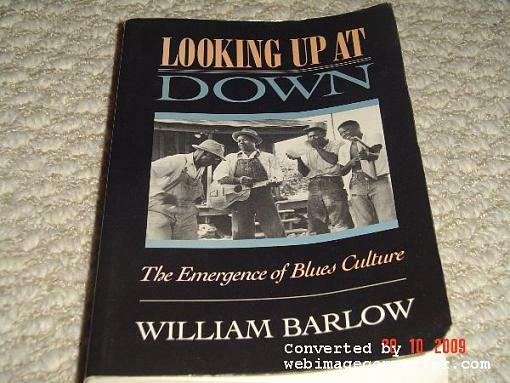 Soon I realized that most of the songs I liked were the blues based tracks, this led to a passion for all things blue. Ive been hooked on the blues ever since. Hey LDB, what about my OP?? Can really help out here Pops. My cables are hidden behind a big old wooden stand so, outta sight outta mind. Just keep your power, audio, digital and video cables separated from each other.